The profile on the obverse (front) side of the coin is Lady Liberty. Her liberty cap includes a ribbon inscribed with the word “LIBERTY” and two cotton blossoms and two heads of wheat to represent American agriculture. The thirteen stars around the border represent the original thirteen colonies at the time of the American Revolution. There is a tiny “M” at the base of Lady Liberty’s neck. 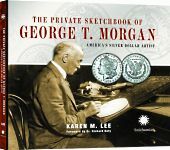 It is the initial for George T. Morgan, the coin’s designer. 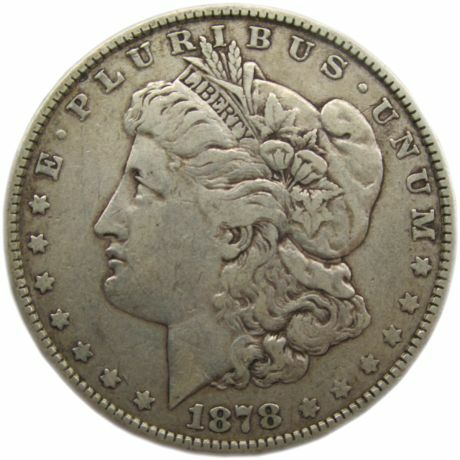 Filed under Coins Obverse, Morgan Silver Dollar.